This is one of my husband's recipes. It's so quick and easy and delicious. 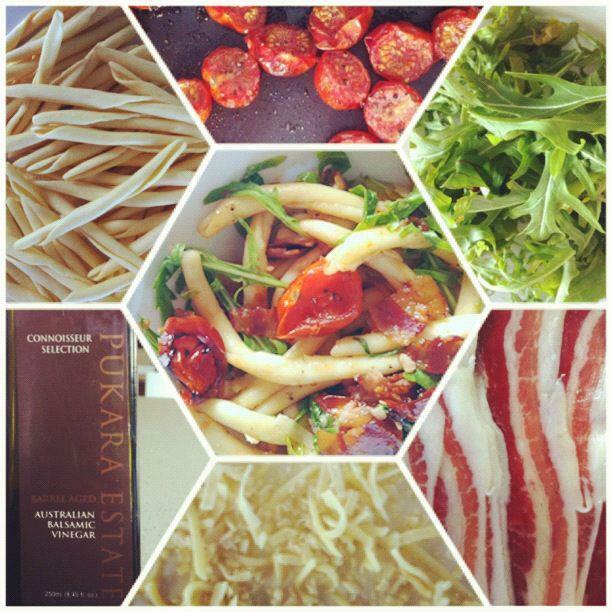 Pasta with wilted rocket, balsamic, semi dried tomatoes and prosciutto, and Parmesan. Have a wonderful weekend everybody & happy cooking.